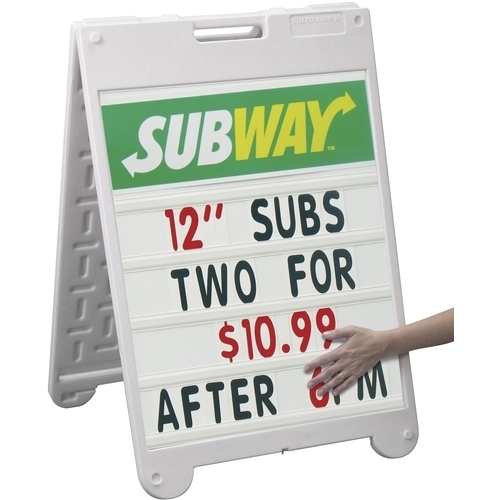 This sign frame is attractive, light weight, durable and inexpensive. SimpoSign II...one frame for many signs. Does not include graphics. Please contact us for a quote. Stacking lugs closed thickness: 2"